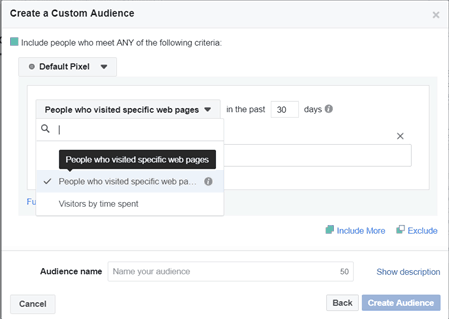 A step-by-step tutorial for creating a custom audience within the Facebook Ads interface. As digital marketers, there are few things more frustrating than having someone view a purchase or signup page, only to abandon your website. Whether you’re an e-commerce store or a service provider with a lead form, it’s deflating (and often times confusing) to see website visitors make it all the way through your funnel and then bounce from your website altogether. Nothing you can do, right? Well, not quite. In addition to live chat or exit-intent popups to help intercept the abandonment, there’s yet another tool in your arsenal that could help ensure that these visitors aren’t lost–remarketing through Facebook. There are multiple Facebook Ads features for running re-targeting and remarketing campaigns to help turn visitors who left your site into completed leads and sales, however for the purposes of this article, we’re going to cover an advanced targeting feature that is easy to set up–Custom Audiences. 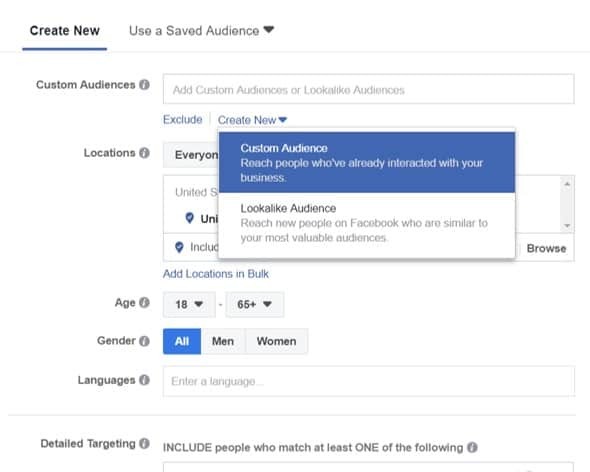 The first thing you need to do is log into your Facebook Ads account and select “Create a Custom Audience”. This is done like any other campaign you’d run. Next, we’ll go through two of my personal favorite ways to use custom audiences for remarketing on Facebook. Using the “include URLs” and “exclude URLs” feature. Not only is this one easy, but you can use it in multiple ways. You can include visitors who have clicked “Add to Cart” if there’s a unique parameter on the URL, or visitors that have been in a category or visited a specific product page. It enables you to get as targeted, or as generic, as you need. The goal here is to try and bring people back to your website who abandoned before signing up and/or making a purchase. Start by creating a custom audience with traffic as the goal. We use traffic here because we want the Facebook Pixel to tag people who have been on our site, or visited specific pages within the site. Here is where it gets fun. You want to include URLs that contain the product name, number, or other unique identifiers (if they’re in the URL). Or, you can use categories. You can also select “equals” and target a specific URL to build a custom audience of visitors that have visited that page specifically. Next, add the “thank you” page or confirmation page URL or attributes in the “excludes” criteria. By doing so, you’re targeting visitors who landed on specific product pages within your lead funnel and excluding people who reached the confirmation page. This way, you won’t target people who have already converted. Bonus: Let’s say you’re a service provider and have a leads form, but the person didn’t actually convert into a sale yet. You can use this same strategy to run ads back to them in order to stay top-of-mind, or you can use the strategy below to help bring them back to your website. 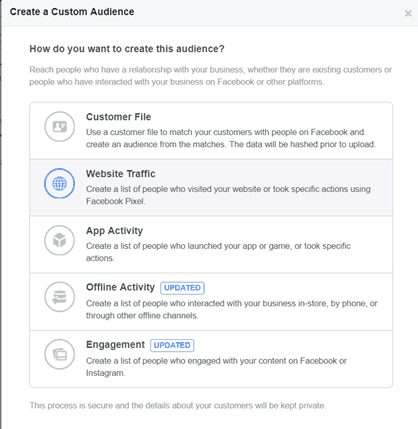 Another way to create a custom audience in Facebook is by using your customer email list, or a list of leads who abandoned your lead forms, to create a targeted segment to run ads to. Start by going back to where you create your ads and reselect “Custom Audiences”. Instead of selecting website traffic like in the example above, you’ll click on “Customer file”. Now, upload the email addresses of the people who filled out part of a form or signed up for your newsletter or store and didn’t convert. Next, create ads that would entice them to want to come back and finish the form or purchase. For example, if they’re two steps away, you can try offering an exclusive discount if they act today. Remarketing on Facebook is incredibly easy and it tends to be very affordable. If you get the warning that the audience is too small, don’t worry. This is normal for smaller companies. The reason is that you’re only reaching out to people who have already been to your site and engaged with you. Unless you have a ton of traffic, the audience should be small, but it is also very targeted. The size of the list isn’t as important here, it’s more about their level of engagement which is already inherently higher than anyone else you could advertise to. Interested in tracking your campaign results in real-time? 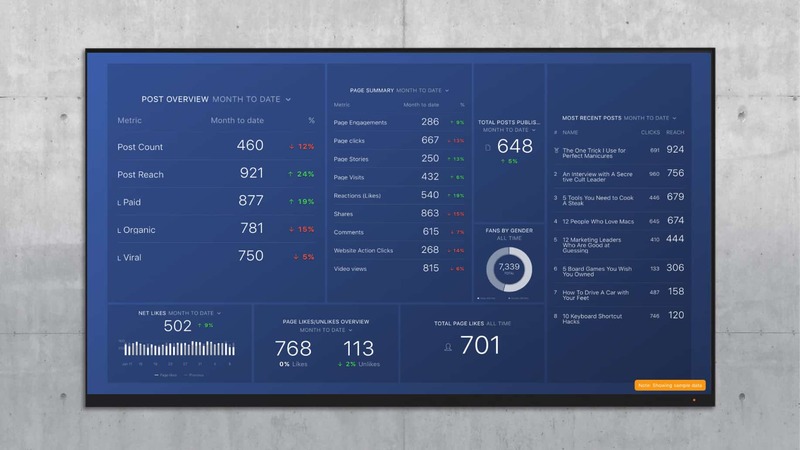 Use this free Facebook Ads dashboard. This is a guest post by Adam Riemer of Adam Riemer Marketing. 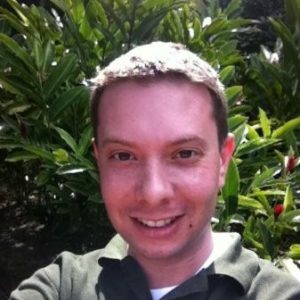 To learn more about Adam or his specialization in SEO and social media marketing, you can visit his blog. Adam Riemer Adam provides online Marketing and Advertising consulting services to companies of all sizes with all budgets and offering SEO, PPC, CSE, Affiliate, Adware and Theft, Email, Sales funneling, Traffic Flows, Blogging, Social Media, Newsletters and Online Strategy.